Our latest podcast sees host Ben Heisler talking with AA's Andrew Bucholtz about all the stories surrounding Super Bowl LIII. 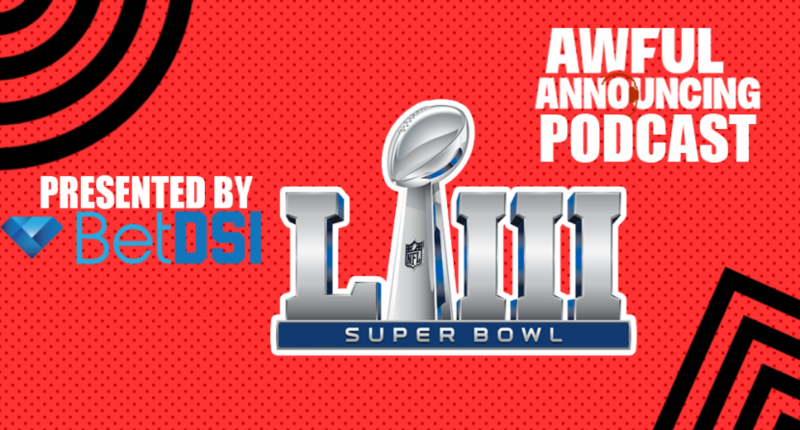 On this week’s edition of the Awful Announcing podcast, host Ben Heisler chats with AA’s Andrew Bucholtz about everything Super Bowl LIII, from CBS’ production to Tracy Wolfson’s postgame interview to the Barstool Sports/NFL feud and the less-than-stellar ratings for the big games. 14:22 – Should the digital numbers matter more to networks? Would the discussion be different if it were simply a good game? 16:10 – Did it feel like there wasn’t a lot of juice leading up to the Super Bowl? 24:20 – What should we be looking forward to most in sports media in February?